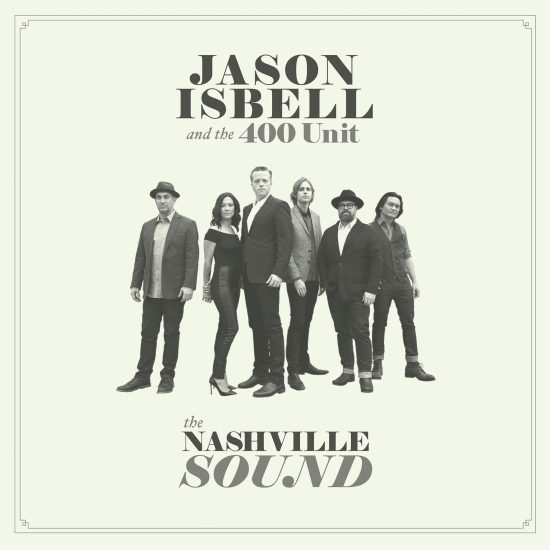 Jason Isbell and the 400 Unit’s The Nashville Sound, out today, is a lyrical tour de force powered by authentic production and bold emotion. One moment, Isbell rises up in protest, bravely confronting and angrily challenging his surroundings (i.e., “Cumberland Gap,” “Anxiety”), and the next he retreats, seeking comfort and solace (i.e., “Chaos and Clothes,” “If We Were Vampires”). 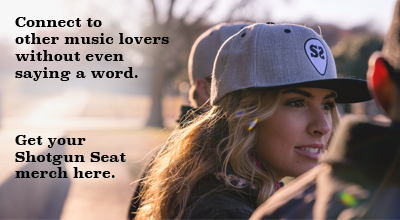 The songs are vulnerable, evocative, and memorable. For as much as Isbell’s now-trademark lyrics have to say, these songs also simply sound good. Isbell teamed up again with Dave Cobb, the producer with whom he’s collected multiple Grammys and other awards, to record The Nashville Sound at Cobb’s home base, Nashville’s historic RCA Studio A. While similarities to Isbell’s previous albums are present in the songwriting and on gentler numbers, this latest collection packs more energy – its poignant messages emphasized with an army of artful instrumentation, courtesy of The 400 Unit and Cobb’s authentic style. Other notably meaty tracks include the rollicking “Cumberland Gap” and the pleading “Anxiety.” The former employs frantic drums and guitar to grapple with leaving home and family in search of a better life, but instead comes to the desperate conclusion: “Maybe the Cumberland Gap just swallows you whole?” The latter is a letter to anxiety itself, imploring it to loosen its grip, with the lyrics and metallic guitar serving as both a release for those who suffer from anxiety and an explanatory tool for outsiders trying to understand. The record offers several softer points, allowing for brief, often melancholic exhales between power pieces. “Tupelo” details the devastation that seeps in after hopeful expectations for a place and person crumble in the face of reality: “The wars between the weekends tore our playhouse down.” “If We Were Vampires” stuns with an unlikely sparkle – subtle at first, dusted with the sadness of the chorus (“Likely one of us will have to spend some time alone”) – and then blinding once the saccharine, heartbreaking third verse hits (“If we were vampires and death was a joke … I wouldn’t feel the need to hold your hand”). The album’s sweet conclusion is likely a message to Isbell’s daughter, Mercy, as he struggles to understand the life she’ll inherit: “Don’t quite recognize the world that you call home / Just find what makes you happy, girl, and do it till you’re gone.” It’s preluded by the anthemic lead single “Hope the High Road,” which serves as the album’s “come together” moment. The lyrics highlight conflict – Isbell essentially puts to music his own and his peers’ reactions to the events of the past year – but ultimately, differences are cast aside in search of common ground. The Nashville Sound asks the hard questions. Its strongest moments come in the form of unpleasant wake-up calls, but they’re often followed by reassuring embraces. Isbell is marching toward reality, but for every line (or entire track) that dwells in the darkest of corners, there’s one that cracks the blinds or slides the dimmer switch, letting light creep in and flood the project with a unifying relatability. Listen on Spotify, or buy physical copies here. Isbell and the 400 Unit are also heading out on tour; find tickets and info here.